“A reunion of ABBA is more likely than us getting back together”, Magne Furuholmen says. "We will cover the world map with very special shows, especially in the places where we haven't played for many years, and we'll end things with a bang"
The members of a-ha are now talking to VG for the first time since the announcement that they are disbanding after the 25th anniversary in 2010. Tonight they’ll start this autumn’s European tour in front of 10 000 fans at the Lanxess Arena in Cologne. “This will be a really exemplary way of summing up 25 years. We’ll make it a party – because we’re worth it”, Furuholmen says about the collective decision to end Norway’s greatest pop sucess ever. And it really is a collective decision, Magne Furuholmen insists. Because a-ha has always been a collective which, in public, always makes collective decisions. Still, the trio met VG individually yesterday as well – not together. “It could have gone both ways for me. Another album had been no problem, and I guess I had already started working on the next a-ha project”, Waaktaar-Savoy says. 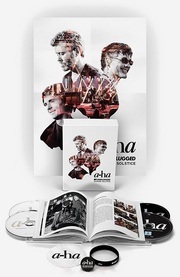 On this year’s – and the last ever – a-ha album, Foot Of The Mountain, Paul Waaktaar-Savoy was back as the main songwriter, while Morten Harket didn’t contribute any songs. “When we had some success again in the UK, I got really inspired, and many of the songs came out of that period. 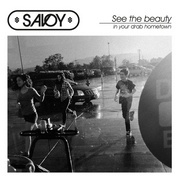 Being back in London reminded me somewhat of the old days – that city has its own unique vibe”, Waaktaar-Savoy says. Morten Harket admits that the decision to end a-ha has been a bit sad. “There’s certainly some sadness connected to it, but the overall decision is not sad at all”, Harket says. “It feels a bit strange”, Waaktaar-Savoy says. “25 years is a long time, and you’re almost waiting to be given the golden watch [for loyal service]. I’m not feeling it much at the moment, but I’m sure it will come by the end of next year”, he says. Magne Furuholmen, on the other hand, doesn’t feel any sadness at all. And he isn’t provoked by music experts who have already stated that a-ha are sure to make a comeback at some point.